JACK’s taken over the Oxford City Sightseeing bus for an exclusive tour. 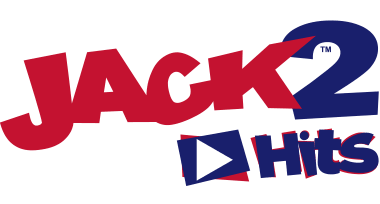 Be our guest on board JACK’s Be A Local tour, hosted by Trev. Rediscover Oxford with our unusual take on the hop on hop off tour. Oxford City Siteseeing now has kids commentary available which is suitable for kids of all ages...so Trev is sorted. 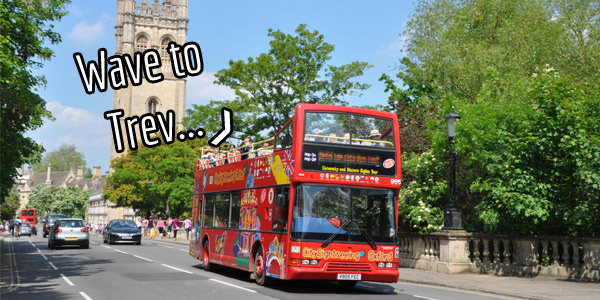 Oxford Citysightseeing open-top bus tours is a great way to discover the history of Oxford, a fantastic activity to undertake with family, friends and visitors throughout the year. Even if you’ve lived in Oxford for a long time the award-winning Historical City & University tour can give you a whole new perspective about your city. If you want to win a seat on our unusual sightseeing tour for you and some friends, enter your details below and Trev might just pick you to play JACK’s Be A Local Tour on JACK's Morning Glory... winners will also receive tickets to take the original tour again at their own leisure which includes entry to the Carfax Tower. Become a local Oxford tourist! Pre-registered listeners will be selected to play along with Trev, for a chance to win. 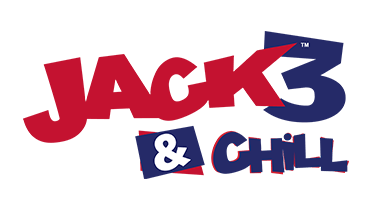 The finalists will be called up to play JACK's Be A Local tour - they will have to answer 3 multiple choice un-googleable questions correctly. If the doesn’t select all 3 correct answers the phone lines will be opened up and the competition will run until all three questions have been answered correctly. The prize consists of a 4 places on the JACK Be A Local Bus Tour hosted by Trev on XXXXXX - winners must organise own travel, to and from the tour. Winners will also receive a guest tickets allowing them to returning and take the original Oxford Citysightseeing bus tour any time before 31st December 2017. Ticket includes entry to Carfax tower.